OH...what a view from the newly installed enclosed covered patio. A full length waterview to enjoy your morning coffee from. 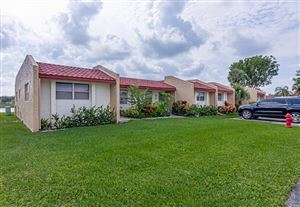 Clean, light and bright 2 Bedroom, 2 Bath villa corner unit that has extra windows on the side of the unit. Master bedroom has an enormous walk in closet. Newer vanities in both baths. New shower doors in 2nd bath. Completely tiled. This unit is just steps from the Lake Carol satellite pool. A/C 3/2016. W/H 6/2008. Golden Lakes is an active 55+ community offering year round activities. Full time social director on site. Pools, jacuzzis, tennis, card rooms, billiard room, computer room, library, cafe, saunas, gym, shows, and much more. SELLER SAYS MAKE AN OFFER! Delightful 2/2 remodeled with open kitchen and updated baths..No waiting period to rent. Washer/Dryer in Unit. Lite & bright 1st floor with parking in front.# 48. White Shaker Cabinets, new vanities and toilets. On dead end street with no thru traffic. Enjoy the magnificent resort lifestyle of Kings Point, 900 Seat Theater, Indoor and out door pools, 2 restaurants, Gyms, tennis, golf. Come on...let's start living Fantastic Social activities. BEST VIEW and LOCATION in active 55+ neighborhood!! This highly sought FIRST FLOOR 2 bedroom condo with LAKE VIEW looks like it's straight out of Coastal Living magazine! 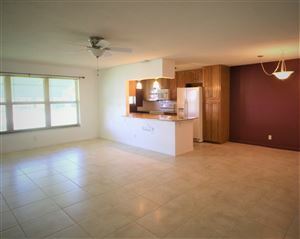 Fully renovated with all top quality finishes! 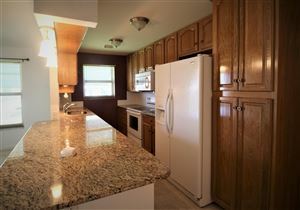 Upgraded kitchen has custom cabinets with wine rack, tumbled stone backsplash, granite counters and stainless appliances. Bathroom tastefully redone with walk in shower and separate vanities. Wood floors throughout, impact windows, and screened in patio with additional storage. AC and water heater are 2 years old. Laundry room has full size side by side washer and dryer with overhead cabinets for extra storage. Well maintained community clubhouse, pool, shuffleboard and social activities make this the perfect place to call home! Come and build your dream home! Peaceful and quiet serene area perfect to relax, far from city crowd, no HOA or restrictions for pets, trucks or van or boats. Nice clean home on 2 floor. Active over 55 community. Short walk to clubhouse with heated pool and hot tub. Utility room with full size washer / dryer. One pet under 25 lbs. 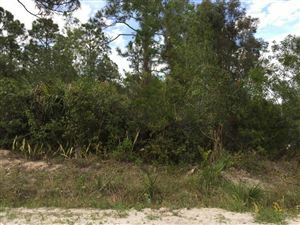 Nice 3 bedroom with large lot, backs to Lake Okeechobee. All tiled living area This includes 2 parcels and the back lot can build another house. Welcome Home to the active 55+ Kings Point Community. This first floor 2/2 has been completely remodeled kitchen featuring granite countertops, snack counter and all new Samsung stainless steel appliances. Both bathrooms have been completely redone with custom tile, glass enclosures and upgraded cabinets and sink. Your enclosed patio is great for morning coffee overlooking the garden and lake across from the unit. This is a true end unit featuring a lot of natural light. Your assigned parking spot is just steps from your front door. Kings Point features indoor/outdoor swimming pools, tennis courts, two 18-hole golf courses and a multi million dollar clubhouse with entertainment, card games and so much more. Plus all of this and a short drive to local beaches, restaurants and shops. Huge 1 bedroom 1 1/2 baths freshly painted villa. Open floor plan. Large enclosed Florida/family room. Plenty of storage in the laundry room with washer and dryer along with sink basin for your convenience . 2 assigned parking spaces per unit. Emotional support animals welcomed. $365 monthly fee includes: cable , water, building insurance, roof insurance and replacement. Clubhouse , pool, tennis, shuffleboard etc.. MUST be over 55 to purchase. Experience the Florida lifestylenÅèGÇìGÖén+Å in this completed updated condo! You can relax nºÿGÇìGÖÇn+Åand enjoy the sunset on a tiled, screened patio. 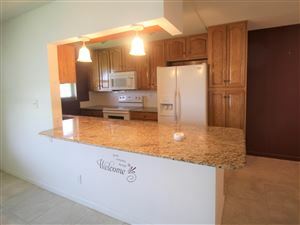 Beautifully kitchen with stainless steel appliances you must see the modern backsplash and countertop. With a 18''x18'' porcelain tile throughout the condo. Main bathroom shower/tub, very modern vanities offers a clean sleek structure with abundant storage in both bathrooms. Freshly painted walls, bedrooms has walk in closets with shelving. For your protection and convenience this condo has Accordion Hurricane Shutters throughout. Furnished n¢Å. Priced to sell. Move in ready, just bring your suitcases! LOCATION LOCATION, COZY CONDO 55 + COMMUNITY CLOSE TO TRENDY ATLANTIC AVE SHOPPING AND THE BEACH .Private condo with covered patio,first floor, 2 bedrooms and 2 bathrooms, nice size and comfortable; wall to wall ceramic tile, dining area in kitchen, big living room and dining areas, private master bedroom, with 2 walking closets. freshly painted, washer and dryer,, ready to move in. 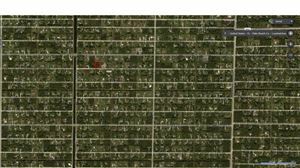 , easy access to I-95,CLUB HOUSE VERY WELL MAINTAINED,Buyer's Broker to verify all the information. SELLER IS VERY MOTIVATED TO SELL IT FASTER/TURNKEY FOR RELOCATION!Lovely Villa and Brightful 2BR/2BA (or 1Master Suite BR plus Den/1BA) home. Modern Furniture. Property is being 'Sold As-Is'. All in one floor ideal for families with kids and retired people, high ceilings, brick paver courtyard, New fridge in an upgraded Eat In Kitchen that gives a magnificient view into the living space and the private Patio. There is a private Laundry Area. Down the street it is the private Community pool with jacuzzi and closer to the Club facilities.LOCATION! LOCATION!! LOCATION!! !Hurry Up and SEND your OFFER NOW! Looking for a place for Long Weekends and Great Golf? For Less than $200,000 you've found it! IF NEEDED OWNER WILL CONSIDER CREATIVE FINANCING FOR THE $90,000 MEMBERSHIP! Enjoy the Ibis lifestyle which includes 3 Fabulous Nicklous designed golf courses, 4 dining facilities, recently updated and enlarged clubhouse, Har-tru tennis courts, state of the art workout facilities, pickleball, bocce ball and more! Be warned, you will love it so much you might just want to stay year round! Enjoy the lake view, especially in the evening when the birds come to roost for the night in the trees across the lake. Membership is mandatory with the seller requiring the purchase of a Premier Golf Membership priced at $90,000. No showings until March 1. Bedroom 3 is a den. Beautiful condo located in Palm Court at Wellington. This 2 bedroom 2 bath condo features large walk-in closets, screened in patio, kitchen with granite counter tops, open floor plan with tile throughout the living area, and carpet in bedrooms. Community features include pool, clubhouse, and playgrounds. Come take a look today. Please note: HOA special circumstance rules and requirements should be reviewed prior to making an offer. Renovated large 1 bedroom with 2 full baths and enclosed patio like another room. 8 closets!! provide lots of storage, plus there is an extra storage room on the floor. Beautiful lake view. A/C and W/H are from 2014. Kitchen cabinets and vanities have been upgraded. Other renovations include arched doorways, energy efficient windows on the patio, Hunter Douglas window treatments, new outlets and light fixtures. HOA includes water, cable, and internet. Nice clean and completed renovated. Wood floors throughout, granite countertops, new kitchen cabinets, stainless steel appliances, new a/c, new water heater and much more. MOTIVATED SELLERS!!! 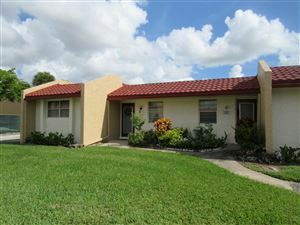 NICELY UPDATED GROUND FLOOR 2/2 IN A GATED COMMUNITY. 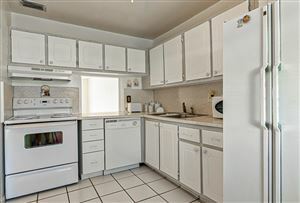 KITCHEN HAS A BEAUTIFUL MODERN BACK SPLASH WITH UPDATED KITCHEN APPLIANCES. NEW A/C. 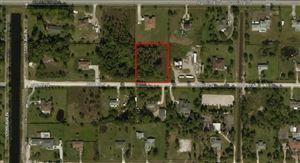 CLOSE TO THE TURNPIKE, SHOPPING, AND BEACHES. COMMUNITY HAS A LOT TO OFFER, GOLF COURSE, SWIMMING, GYM AND ENTERTAINMENT. DON'T MISS THIS OPPORTUNITY! Tired of renting seasonally? This is a beautiful condo whether you want to come south for the winter or live in paradise all year long..this is perfect. Two bedrooms 1.5 bathroom Kitchen and bathrooms have been updated. Full size washer and dryer. New tile in main living areas and carpet in the bedrooms. Spacious walk in closets in both bedrooms. Accordian shutters on all the windows. Located on the first floor just a few steps away from the pool and clubhouse. There is a great enclosed tiled patio to enjoy the sunsets. Patio has closet for extra storage. HOA fees that include an olympic size pool, clubhouse with updated kitchen, shuffleboard courts and a manager available on site. Location is ideal...close to great restaurants and shopping. Furniture included in the sale.